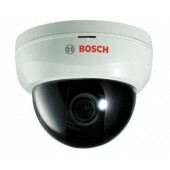 The selection of fixed domes is comprehensive and boasts an impressive array of features and functions. 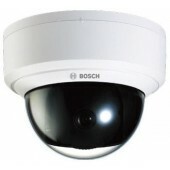 We deliver a full solution offering with our fixed static dome cameras. Loaded with advanced features, the range has been optimized with feature such as vandal proof, all-weather housing. 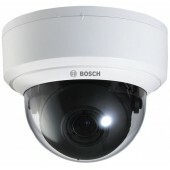 Super Dynamic 5 Day/night dome camera. Up to 650 TVL in colour (high mode) and 700 TVL in B/W. Minimum illumination of 0.3 lux in colour and 0.04 lux in B/W at F1.4. Black and white mode (on/off) (true/day night - IR filter removal on/off). 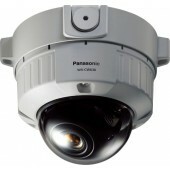 3.8-8mm (2x) varifocal auto iris lens.Auto Back Focus feature. 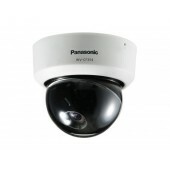 i-VMD including video motion detection, object detection (removal and left behind) and scene change detection. 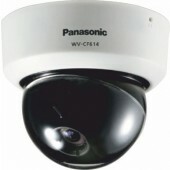 IP66 rated and vandal resistant. Surface mount type camera. 220-240V AC.